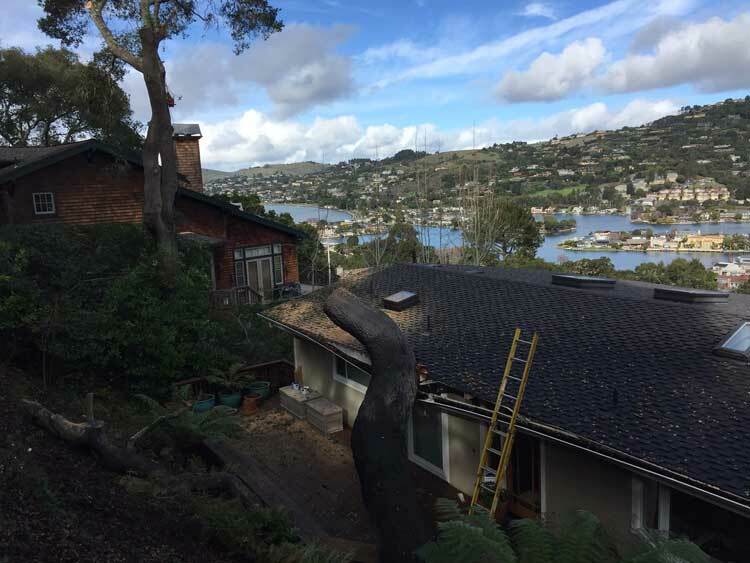 We were alerted at 7 o’clock in the evening by the Belvedere police department that a large tree had fallen onto a home. 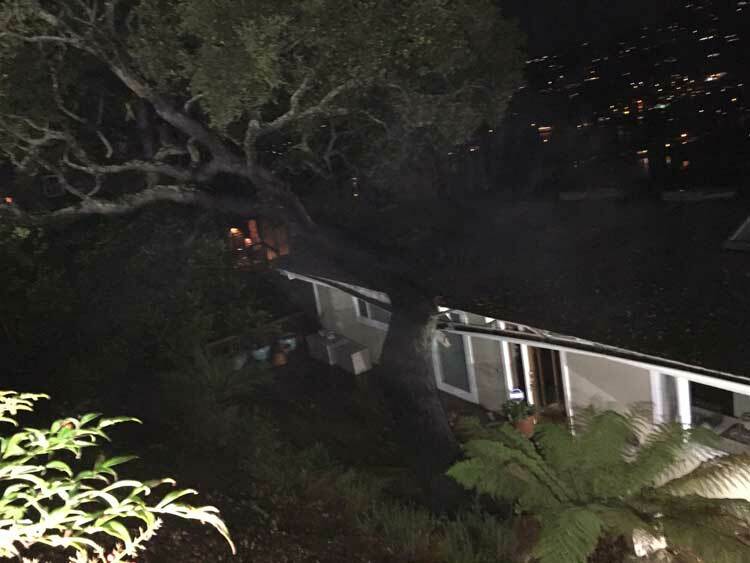 The fire department had evacuated that home as well as the neighboring home that was threatened. 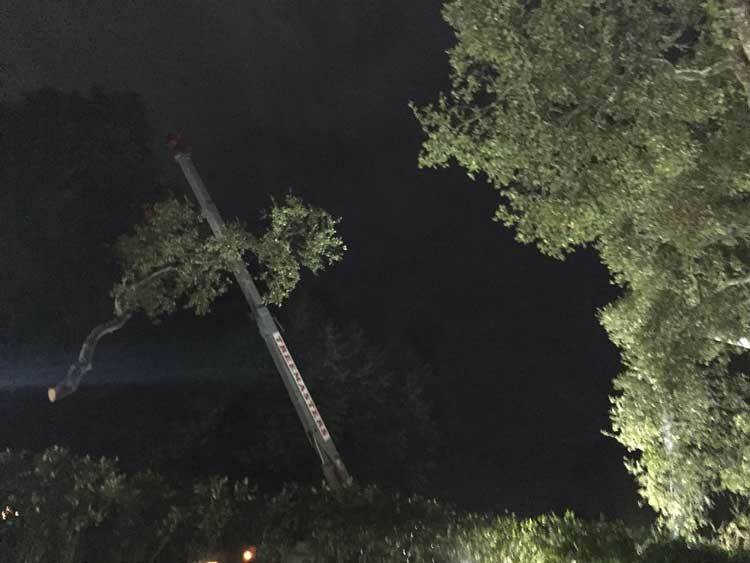 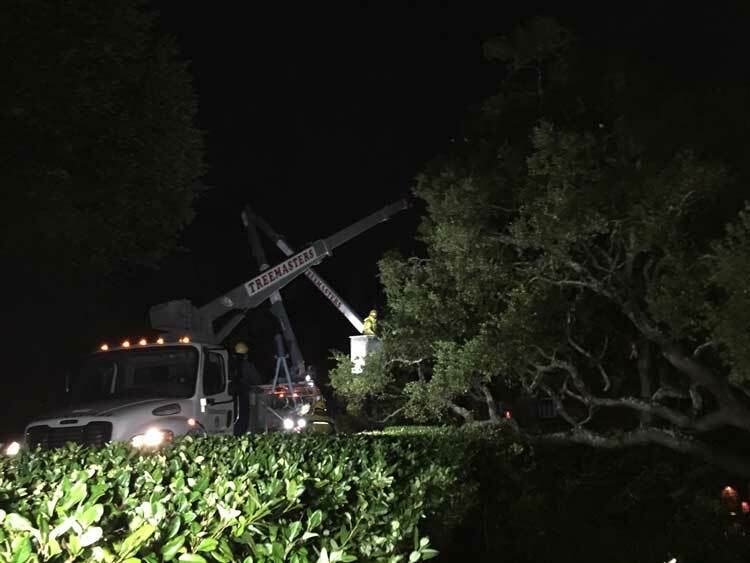 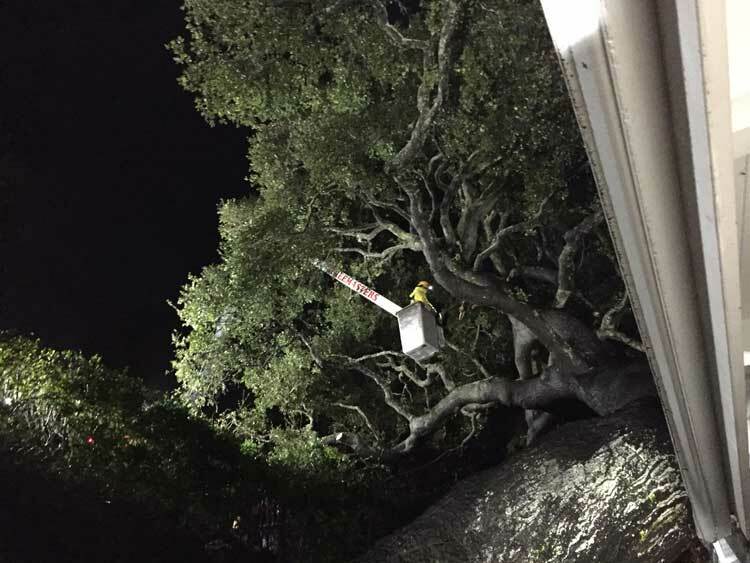 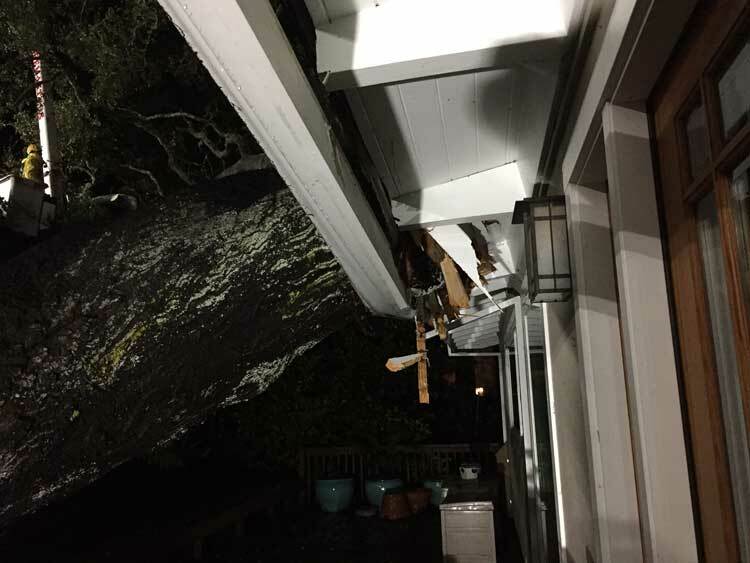 We mobilized on site with our bucket truck and crane truck and dismantled the tree throughout the night as the tree was rolling and causing further damage to the home. 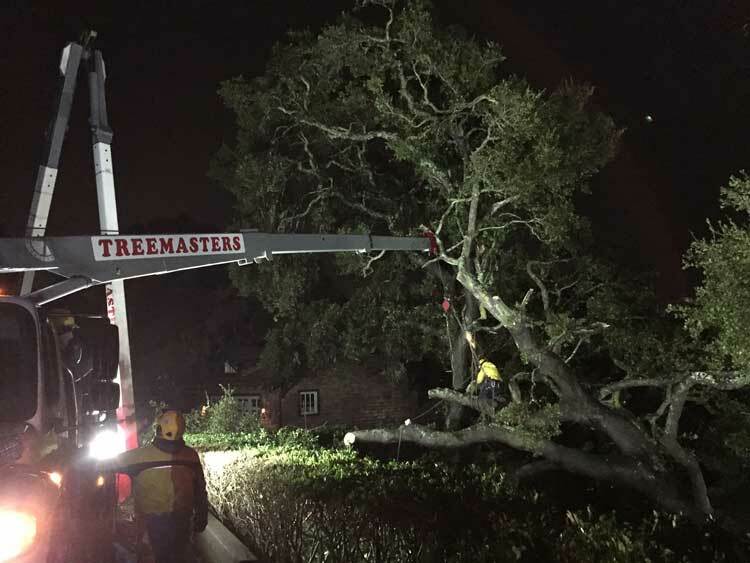 The last picture in the daylight was early morning once we had taken away all the sections of trees that were causing damage to the home by pressuring the trunk to roll.